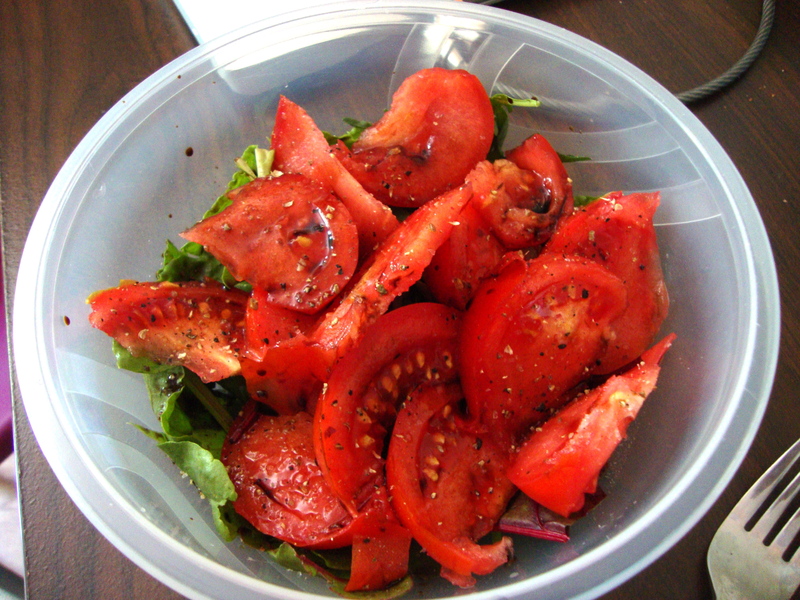 Call me crazy for saying this, but one of my favorite things about summer is that tomatoes are in peak season. I write about them all the time on this website, about using them in pasta sauces and stews, with meatballs and in salads. I could go on and on, but I’ll refrain myself. 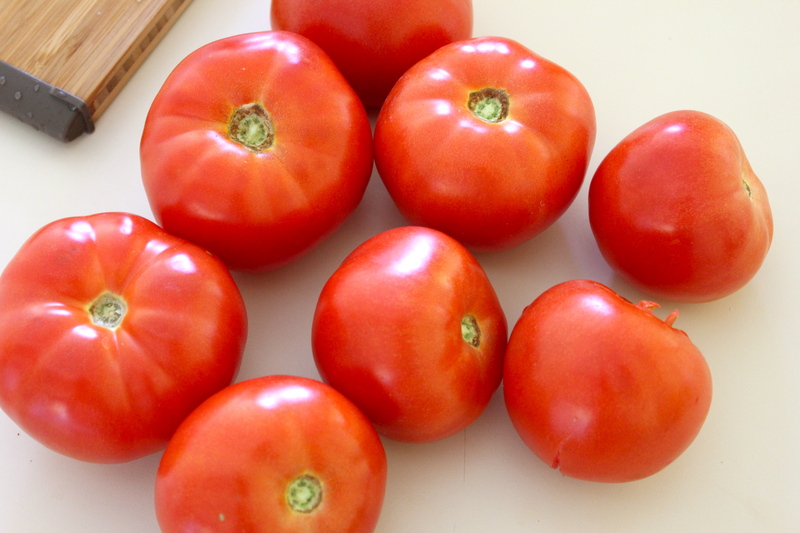 Cut the tomato into thick slices, from the top down to the bottom. Place on top of some lettuce if you like, or just onto a plate. If it suits your fancy, drizzle a little olive oil and vinegar on top. Sprinkle salt and a liberal amount pepper. Eat. Enjoy. The End. Substitutions: Even better, eat the tomato like an apple because it’s summer and it’s perfect how it already is.